Plants that is suitable for the marginal water area in small, medium or large ponds. 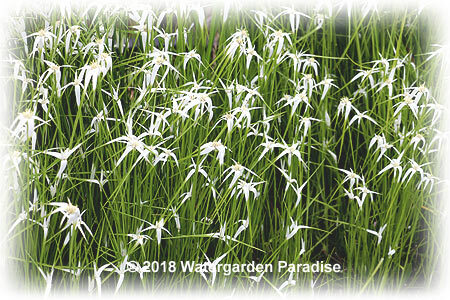 Usually planted around the edges of the pond or dam in shallower water. Should given some fertiliser tablets when repotting to encourage lush green growth. Sold in the form of barerooted rhizomes/bunches. Low Growing - Approx. 10cm - 20cm in height. Depth (from the growing tips of the plant to surface of water): 5cm - 10cm. Medium Height - Approx. 20cm - 1m in height. Depth (from the growing tips of the plant to surface of water): 10cm - 15cm. Tall Growing - Approx. 1m - 2m in height. Depth (from the growing tips of the plant to surface of water): 15cm - 20cm.